Home » blogging » blogging tips » Is Google PageRank Dead? 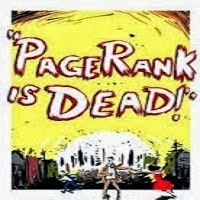 » page rank » seo » Is Google PageRank Dead? This is the question of most of bloggers and that includes me The curiosity is there already and this is a kind of stressful thing for those who depend on PageRank when it comes to their online businesses that include sites. PageRank was at one time a huge deal and many people still put a lot of value in their sites number, but PageRank is quickly dying as the days go by. I’ve always been a big fan of page rank, but I can definitely live without it. The reason is that there are now so many other site variation factors, you can see lot of sites have PageRank but the contents is not quality they just earned PageRank due to age of their site on internet. Authority contents which are now looked at as being more valuable that PageRank is considered and this is trying to compensate over the loss of what we consider as one of the most looked forward to in the internet. Another reason why PageRank might be on its way out is because Matt Cutts and the Google team don’t seem to put as much care into this area either believe it or not. And this is something that we need to look at, seriously. For PageRank devotees, there is some bad news. PageRank is updated internally within Google on a daily basis and every three months or so, they would push out that information to the Google toolbar so it would be visible to webmasters. Unfortunately, the pipeline they used to push the data to the toolbar broke and Google does not have anyone working on fixing it. As a result, Cutts said we shouldn’t expect to see any PageRank updates anytime soon–not anytime this year. He doesn’t know if they will fix it, but they are going to judge the impact of not updating it. The speculation that PageRank could be retired is not that far off from the truth, as it currently stands. Then it looks like only time can tell about the future of Google Pagerank for every websites. This is really bad news for anyone with a PageRank of 6 or higher, as these numbers can give the increase in value and interest of readers, but as what mentioned earlier that their are so many ways to track web sites or blogs Quality and Authority outside of PageRank only, so it might not be that big deal anyway.